U.P. winters are long and harsh, making it hard to clean during those cold months. Get in a cleaning before or after the winter season with our Fall and Spring services. We will bring in a team and clean your home exactly the way you want it done. Customize our services to fit your budget and cleaning needs. 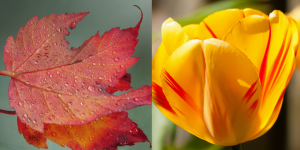 Are You Ready to Experience a Spring | Fall Clean? Don’t see something on the list(s) above, don’t hesitate to ask. We will customize your request to meet your needs.